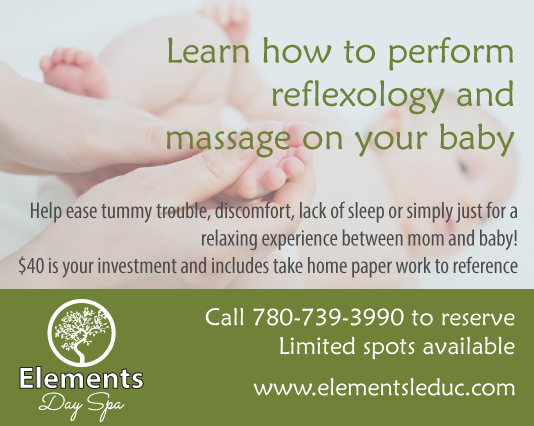 Learn how to perform reflexology and massage on your baby to help ease tummy trouble, discomfort, lack of sleep or simply just for a relaxing experience between mom and baby! Babies have muscle tension too so why not have the ability to ease that with the tender care of your own hands. $40.00 Is your investment includes your take home paper work to reference. To secure your spot call 780-739-3990 limited spots available.